VANCOUVER — The co-founder of a national group of parents whose children have died of overdoses fears the looming federal election will derail any policy changes that could make a safer supply of opioids a priority, even as the country’s chief public health officer has promised to review such a plan. Leslie McBain of Moms Stop the Harm said the overemphasis on addiction treatment has not worked because drug users are continuing to use the black market to access fentanyl-laced substances that have killed thousands of Canadians. “In implementing a safe supply (policy), it brings the people who need it into an environment where they can then also be offered different forms of treatment. It keeps them alive. It takes courage to make that step to recovery,” said McBain, whose 25-year-old son fatally overdosed five years ago. McBain, who advocates for families with the BC Centre on Substance Use, said Health Canada needs to provide the public with information about the process involved in a safer-opioids review by Canada’s chief public health officer, Dr. Theresa Tam, who announced in December she will gather data from provinces and territories. 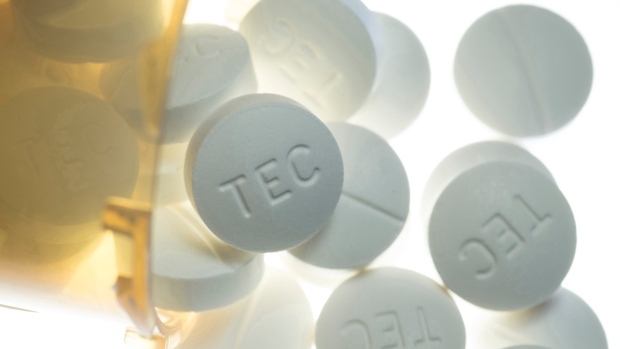 Last week, British Columbia’s mental health and addictions minister, Judy Darcy, called on the federal government to “open a courageous conversation” on safer opioids. The ministry says it expects to respond to the federal government’s information request for its review by the end of April. Pharmaceutical-grade heroin has been provided since 2014 at the Crosstown Clinic in Vancouver, the only such facility in North America, but the program requiring users to have up to three injections a day under the supervision of nurses can accommodate only about 100 patients at a time and has not been adequately expanded since B.C. declared a public health emergency in 2016. Dr. Scott MacDonald, lead physician at Crosstown, which also offers the injectable form of the opioid hydromorphone, said there’s no reason why British Columbia can’t increase access to the program, which an estimated 500 entrenched drug users needed back in 2013. However, he said the pure heroin, or diacetylmorphine, must be imported from Switzerland and Health Canada has not made it possible for it to be produced domestically. MacDonald said injectable opioids have been available in B.C. as more than 3,000 people have died in the province since the emergency was declared three years ago. “I don’t understand the delay,” he said. “This is not a partisan issue. It’s about care for people who are at risk for overdose and death and have not responded to any other treatment. It just needs to be made available,” he said, adding diacetylmorphine is an option for five to eight per cent of drug users. Three clinics in British Columbia offer injectable hydromorphone, two sites have made it available in Alberta — one each in Calgary and Edmonton — while Ottawa has one facility, MacDonald said. Jordan Westfall, president of the Canadian Association of People Who Use Drugs, said expanding addiction treatment programs has been “too timid” a response and that’s obvious in British Columbia, where the coroner’s service recently reported 1,489 people fatally overdosed in 2018, slightly higher than the previous year. Shanelle Twan, a member of the same network in Edmonton, said the group is planning a day of action across the country in April to draw attention to the need for safer opioids. MacPherson, who was the drug-policy co-ordinator for Vancouver from 2000 to 2009, said starting in the spring, his coalition plans to launch a three-year campaign to educate people across the country on drug policy. He said while Prime Minister Justin Trudeau has been criticized for saying no to decriminalizing drugs, movement on that issue would not solve the problem of toxic drugs that have killed thousands of Canadians.